A week or so ago some mushrooms started sprouting in my yard. 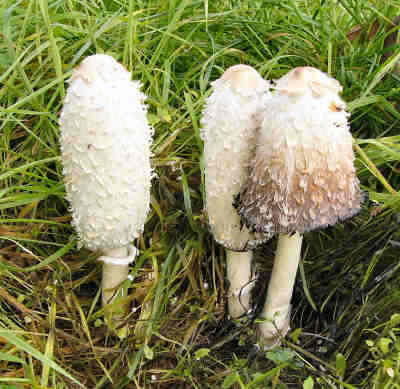 Previously, the very delicious Shaggy Mane, also known as Inky Cap mushroom, has grown in my yard and though never very numerous, we've eagerly gathered our small harvest. Inky Caps are one of the fool-proof four of edible wild mushrooms, making them hard to mistake for any other variety. At first, I thought these were Shaggy Manes, but instead of dissolving into a gooey mess in a few hours, these kept on growing. When I returned home after a multi-day road trip, they’d gotten huge. They were magnificent! Are they edible? There was more than enough for a meal. So I Googled! My first guess was they were parasol mushrooms and the first few pictures I saw made me believe I was correct and headed for a great mushroom dinner. But one of the authors who created one of the mushroom ID sites I visited warned there were a couple of close look-a-likes so be careful. and common in my yard. 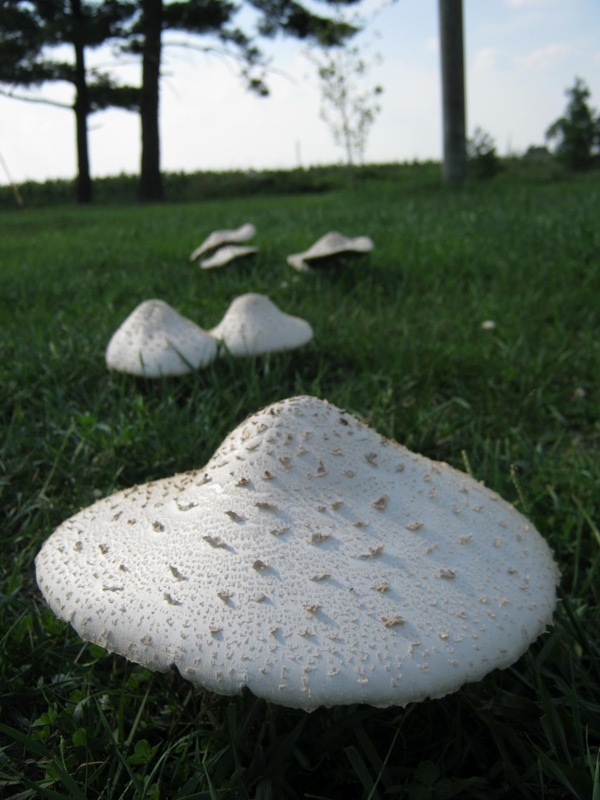 One of them was called the Chlorophyllum molybdites, more commonly, the Green Gilled Parasol. It’s not deadly, but will make most people violently ill, apparently from both ends. In the write-up, the author noted the green-gilled version was the most common cause of mushroom poisoning in the United States. That was enough for me to check and recheck, before venturing farther down this culinary track. One of the specimens I picked showed a bit of mint green tinge to it’s gills. The definitive test is to put the cap on a white paper and wait an hour or more. If it sheds spores that are green, it’s proof positive you don’t want to eat it. Green they were! Into the dumper they went. We had homemade fries with our burgers for dinner. 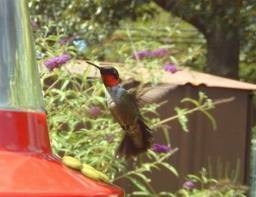 Summer time is “hummer-time” at my house. Hummingbirds, that is. Those scrappy little moth-sized birds are one my favorite things about summer. We don’t get lots of hummers here. Most years just a couple of pairs take up residency in our vicinity. A good year is when we host 3 couplets of the tiny birds. That is until early August. That’s when the kids join mom and dad sucking free sweets from my plastic flowers. Since hummers only raise 2 babies each year, once the juvies join the party, the flock doubles. Maybe there are some cousins, uncles or aunts showing up as well. Maybe just having twice as many makes it seem as though the feeder is 10 times as busy. Hot weather certainly boosts their metabolism and causes them to drink more. I love it.